Manual or electric outlet that allows the sun or air to enter your vehicle is called a sunroof. If you are planning to go for sunroof installation, you need to know that it comes in different varietiesand you have the option to go for a factory installed or an aftermarket one. Best part about these is that no matter what vehicle model you own, you will surely find one to suit your car type. If your existing sunroof is not working all that good, or if you are facing some problem with its operation and would want to replace it then sunroof replacement is also an alternative. At Change Auto Glass not only are our mobile installers are NGA certified, but they are also some of the friendliest and helpful individuals you will meet. Over the history of our business, we have come to understand that excellence in customer service is our number one priority. We understand that our business could not strive or survive without our loyal customer base. Contact Change Auto Glass professionals to help replace or fix your Car Sunroof or moon roof. We are mobile car window repair specialists serving cities in California for over 30 years. Our sunroof replacement is second to none. Change Auto Glass use best quality products to ensure sunroof repair or replacement job is done properly. 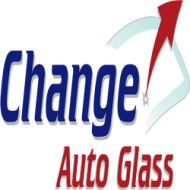 Change Auto Glass provide lifetime warranty against any glass defects or stress crack. In the event you are not satisfied with the service call Change Auto Glass and we will send one of our certified technicians to fix the sunroof glass for you.